SharePoint is a platform for collaboration, document sharing, meeting, record management, content management, business intelligence kit. SharePoint marketing tagline is “Business Collaboration Platform for Enterprise and Web”. Suppose a project manager was assigned a new project in his organization. How many resources are free? How many resources are expert in designing, How many are in .Net technology etc. After that Mr. A will gather his team and will held some meeting, then few email exchange, document sharing via email, telephonic conversations and many more. Few weeks later Mr. A will have to expand time to search for a particular document, he needs to scribble his email folders, he needs to ask his team mates for a particular things. Are these work going to give any result? Might be or might not be. 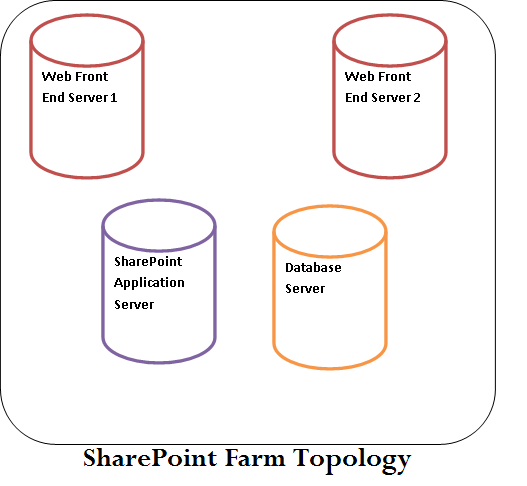 To make above work in a smart fashion SharePoint is perfect place. How Mr. A can manage above works with SharePoint. Mr. A will search for .Net technology candidate from SharePoint portals. He will held some meetings and will upload documents to SharePoint portals. Mr. A can manage those documents with a version and later any time he can get desired documents in easy way. He can create a meeting site for daily updates on meetings held. He can create a task list to track tasks. So SharePoint has made our life easy. 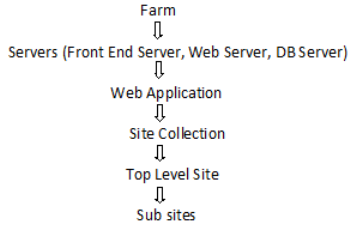 Web Application – It is a website in IIS. Top level Site – Top level site is the very first site in a Site Collection. A top level site can have sub sites under it. Sub sites – It is a site under top level site.